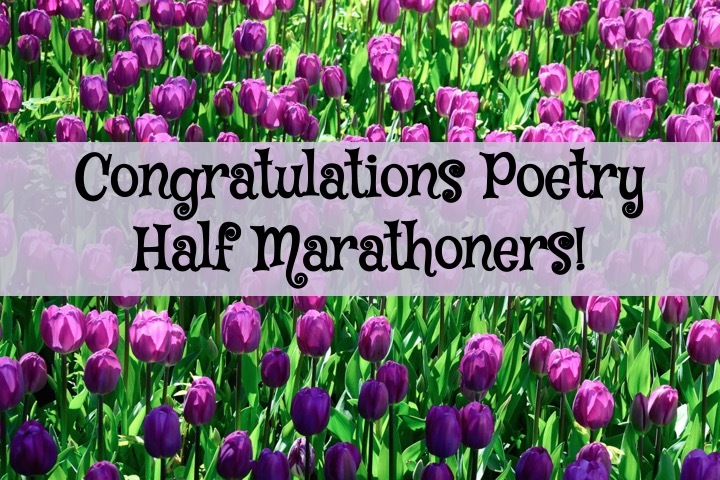 I am proud to announce that I once again participated in the poetry marathon this year. 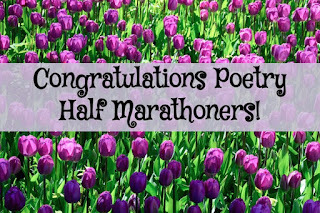 As I stated last year the marathon lasts for 24 hours- 24 hours of posting poetry, but there is the option to do the half marathon which is the 12 hours. This is the option I chose last year, and decided to choose once again this year. Twelve poems in twelve hours. It still wasn't easy. It took some hard work, but I'm proud and grateful at completing it. I'm more grateful for the opportunity to do it again. Better yet I may have a chance to get two of my poems in a poetry anthology they are putting out this year. There is no guarantee that all poems will be accepted, but I am excited at the chance and possibility of getting two poems published there. This has been a wonderful experience.